Posted on 13. April 2019 by Lügenpresse. 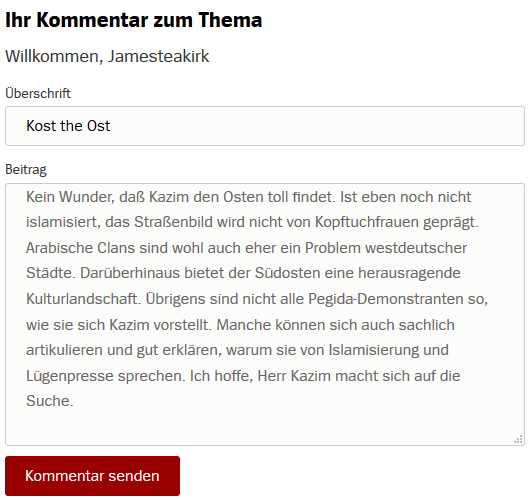 This entry was posted in Spiegel Online and tagged gelöschte Kommentare, Hasnain Kazim, Islamisierung, Ossiphobie, Pegida. Bookmark the permalink.